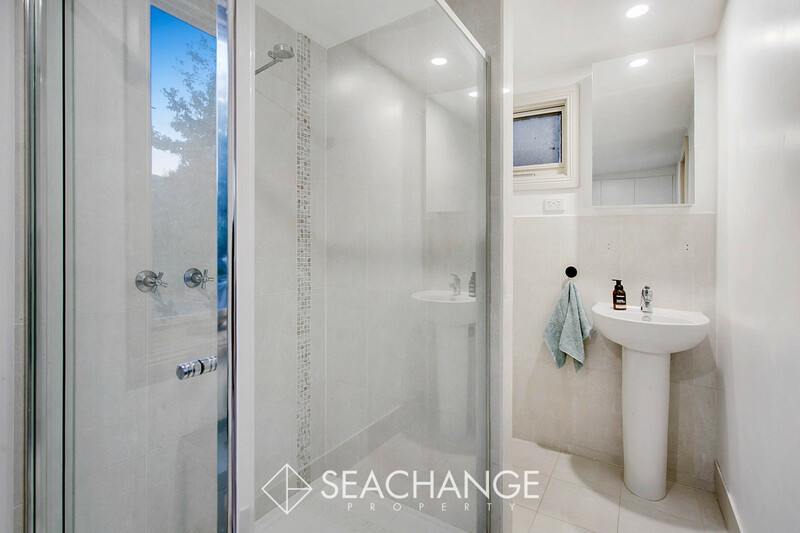 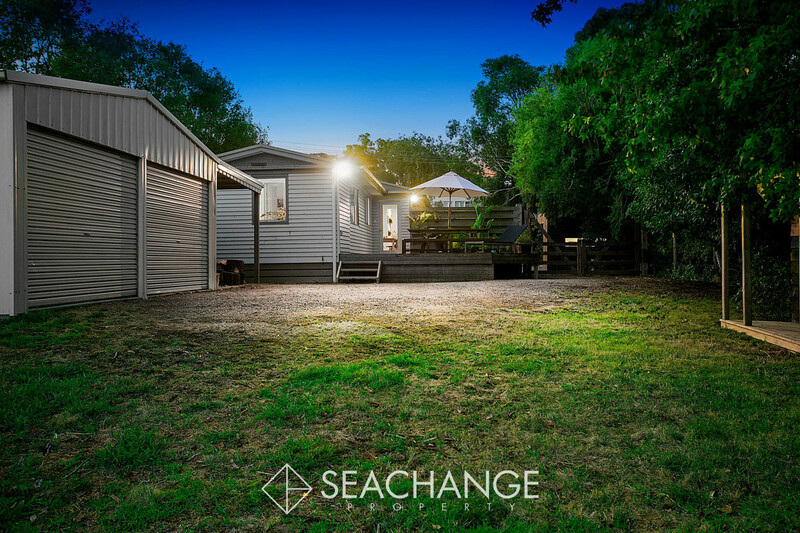 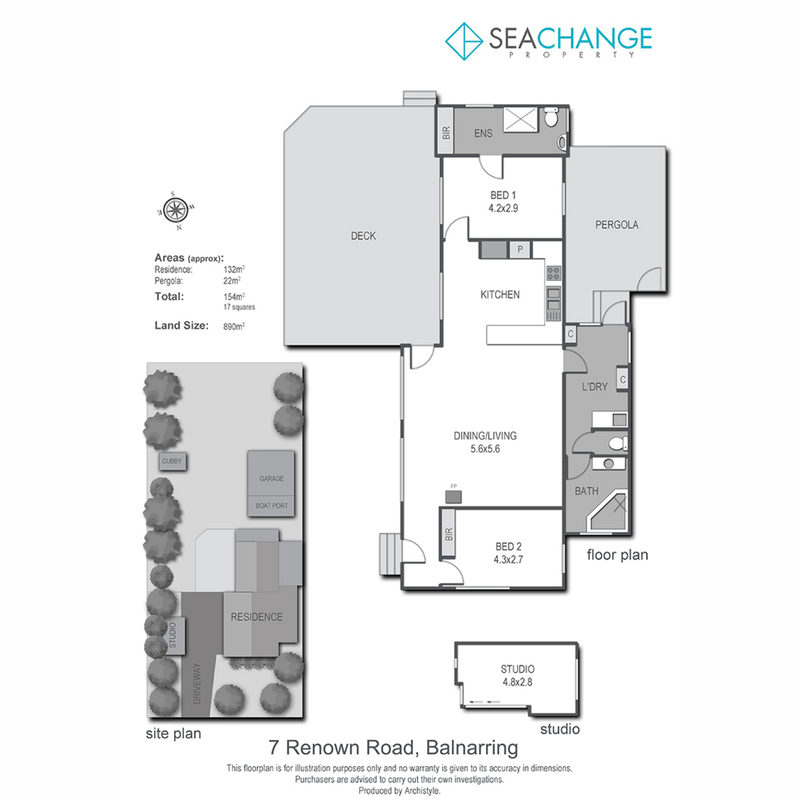 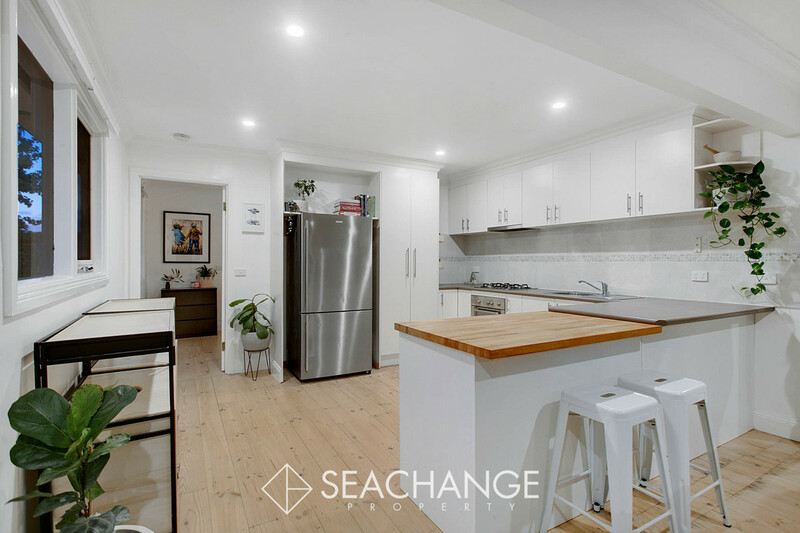 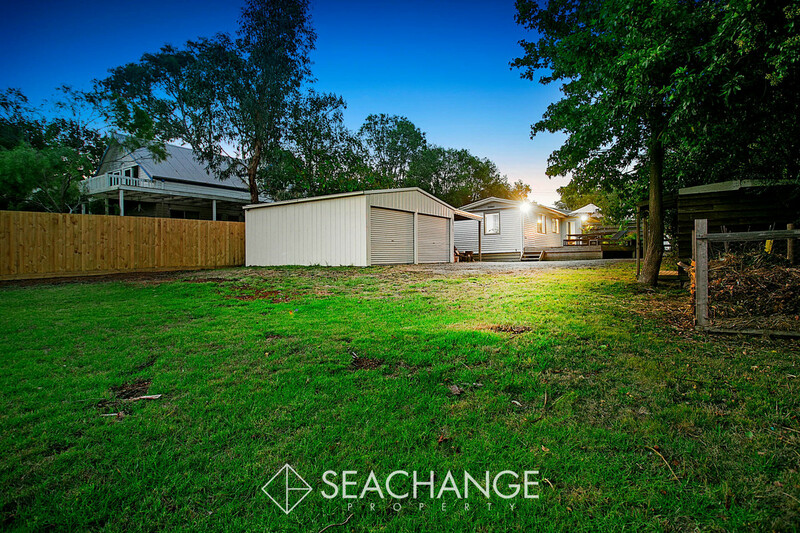 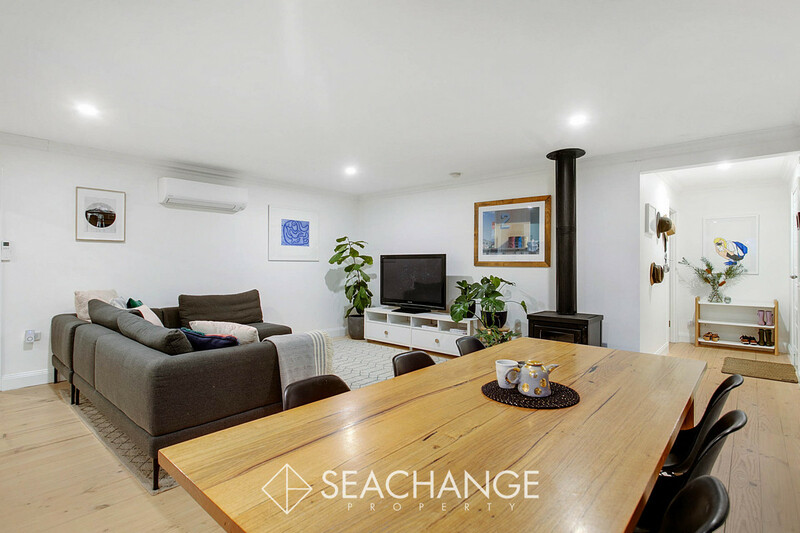 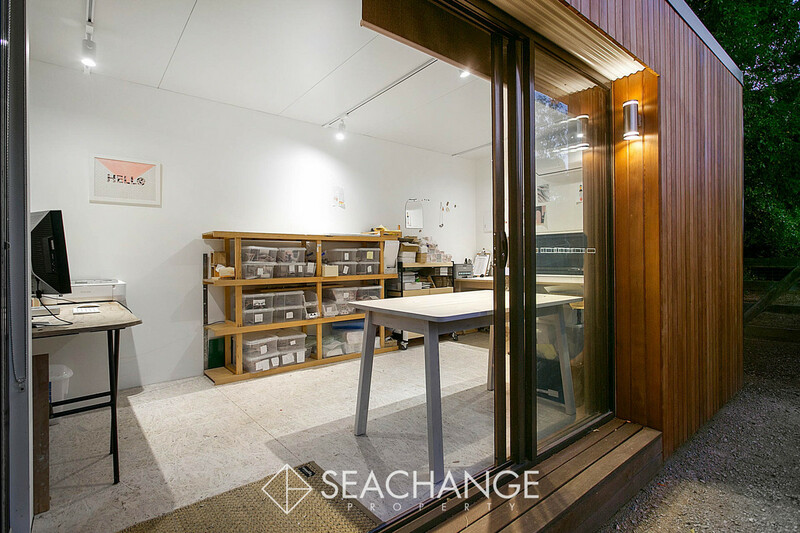 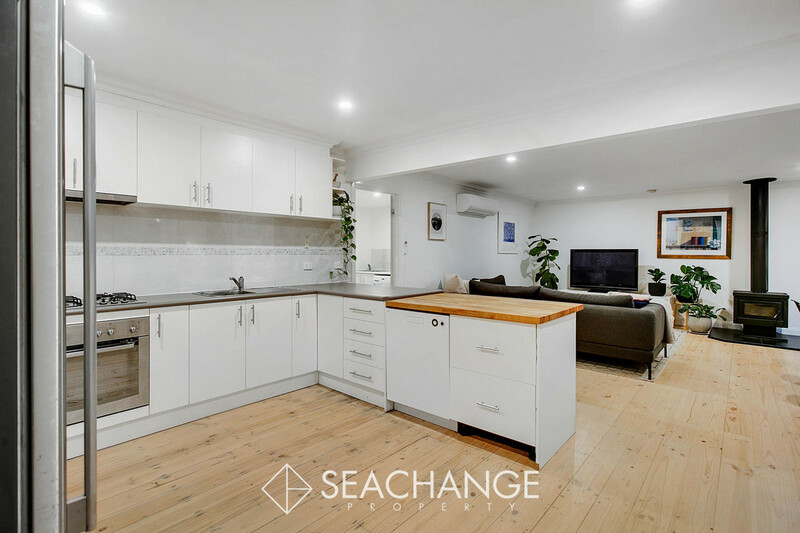 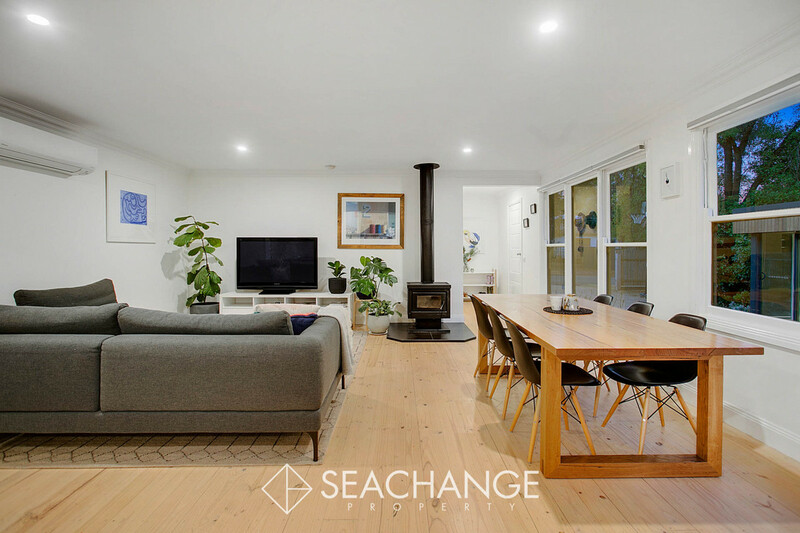 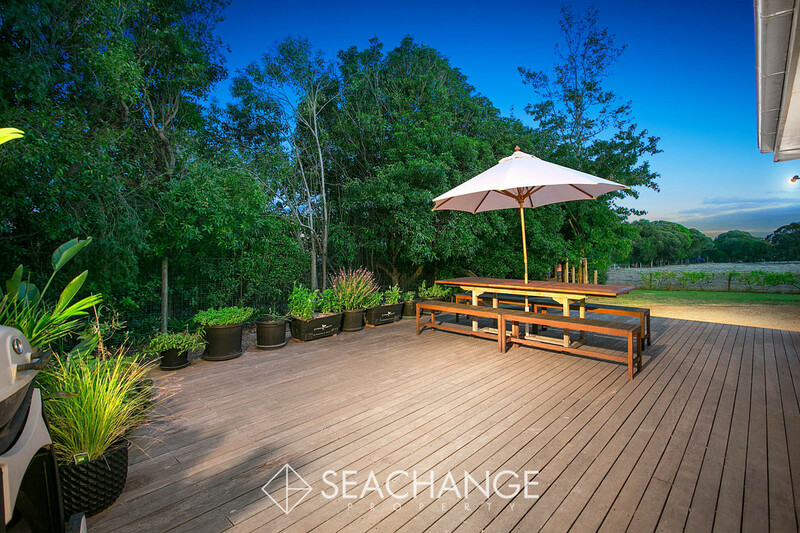 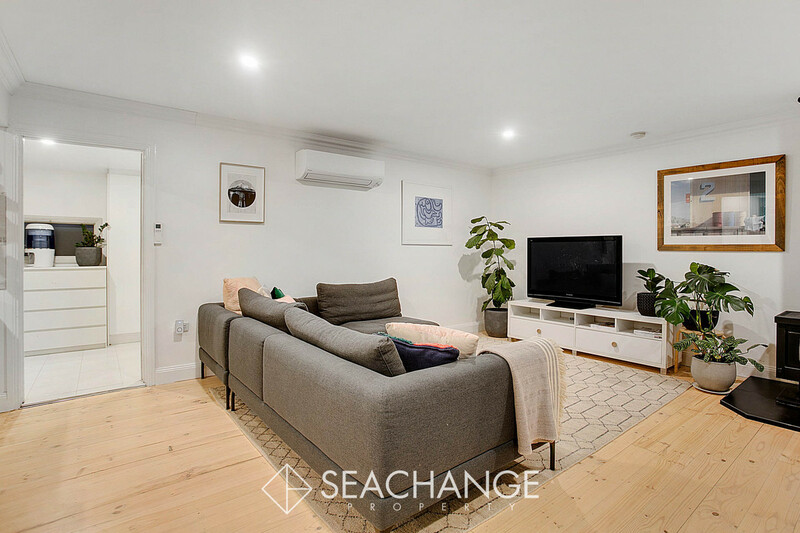 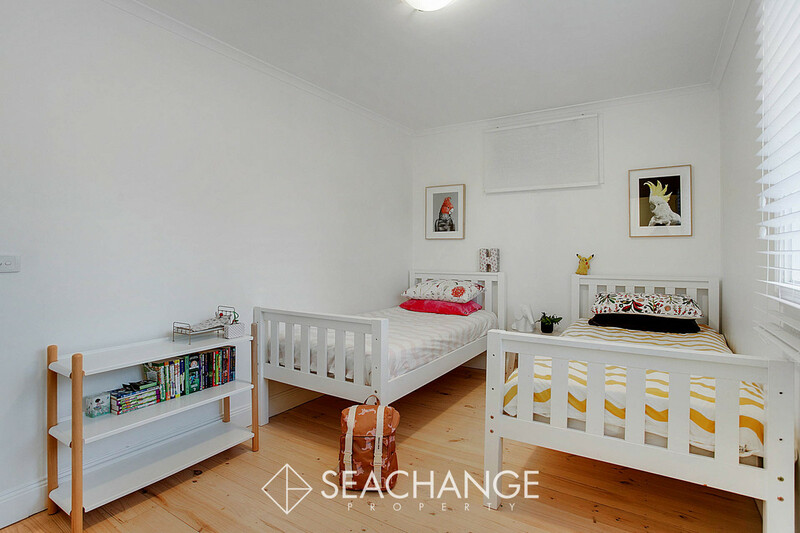 Welcome to a celebrated lifestyle in enviable Balnarring where the safe bay beach is just down the road, the rural atmosphere is extra special and the local township’s open-air shopping hub has so much to offer. 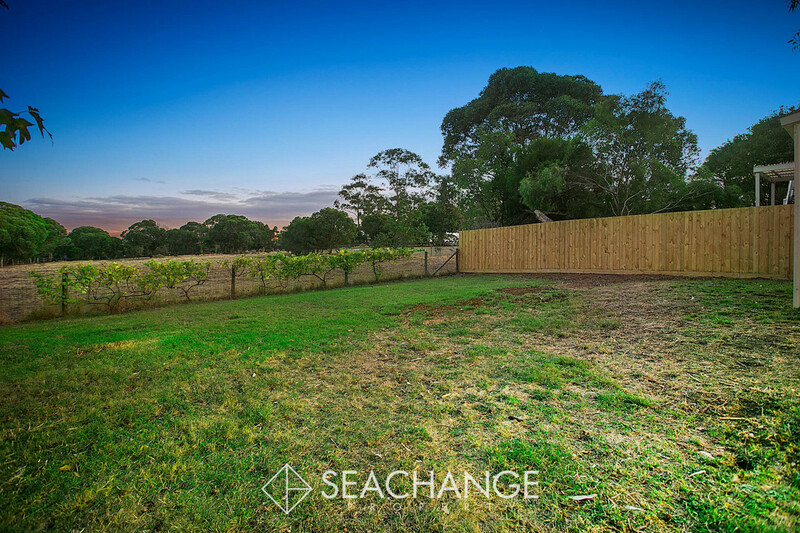 Set on a gorgeous 890m2 allotment (approx. 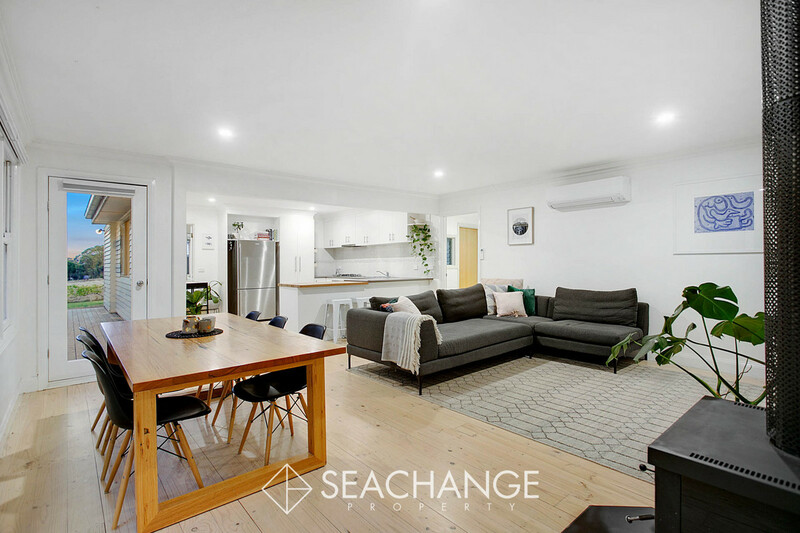 ), this single-level two-bedroom character residence enjoys an open-plan feel, modern comforts and excellent work-from-home options with a freestanding studio right to the front of the property. 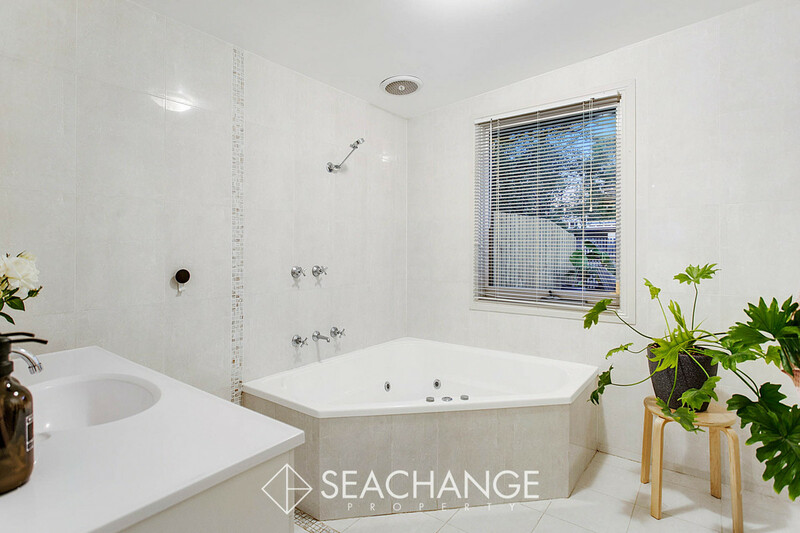 Limed pine flooring plus fresh white walls add to the coastal appeal and a large corner spa in the main bathroom provides a little ‘me time’. 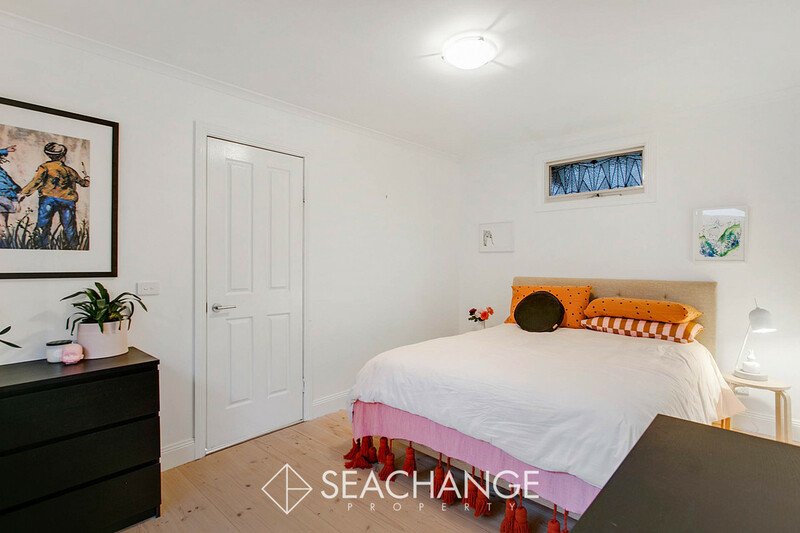 Toasty Coonara heating and reverse-cycle cooling keep the interior temperature ideal while the master bedroom is ensuited for extra convenience. 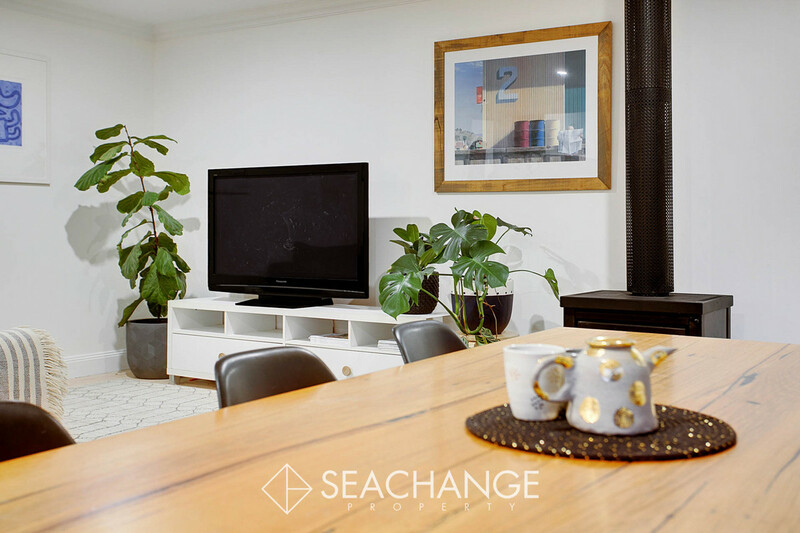 Laundry facilities are large and the family/dining area extends to the sizable kitchen which includes a dishwasher, gas cooktop, underbench oven and handy breakfast bar. 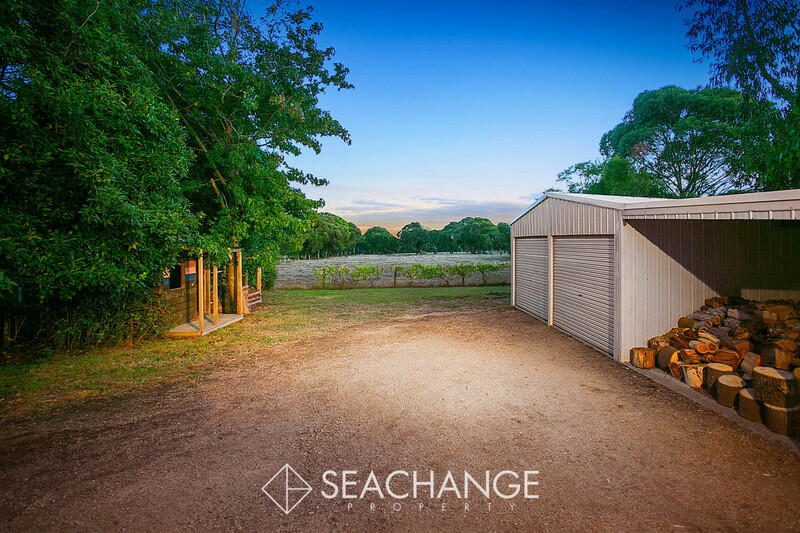 Everything has been thought of from the separate double garage to the wood storage, mulch area and cubbyhouse all hidden behind a rustic farm gate and tall fencing. 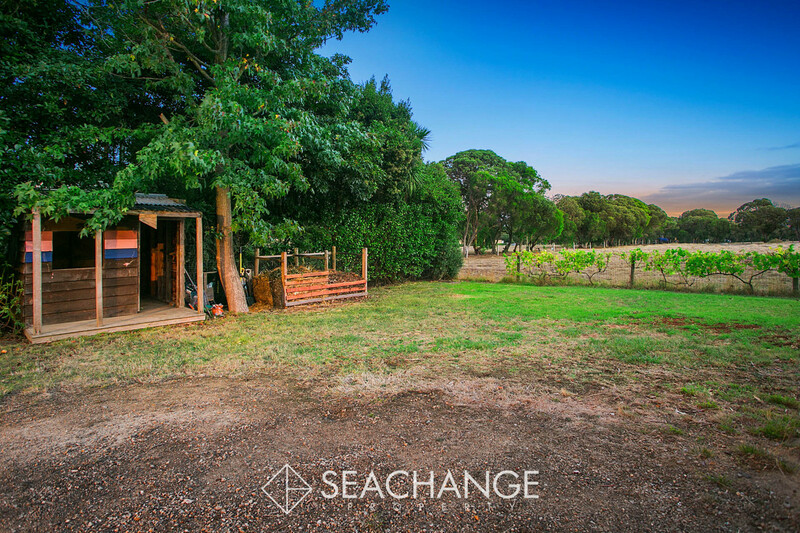 The neighbour’s horses come to visit from the abutting farmlet at the rear of the property which offers a stunning countryside vista from the home’s raised alfresco deck. 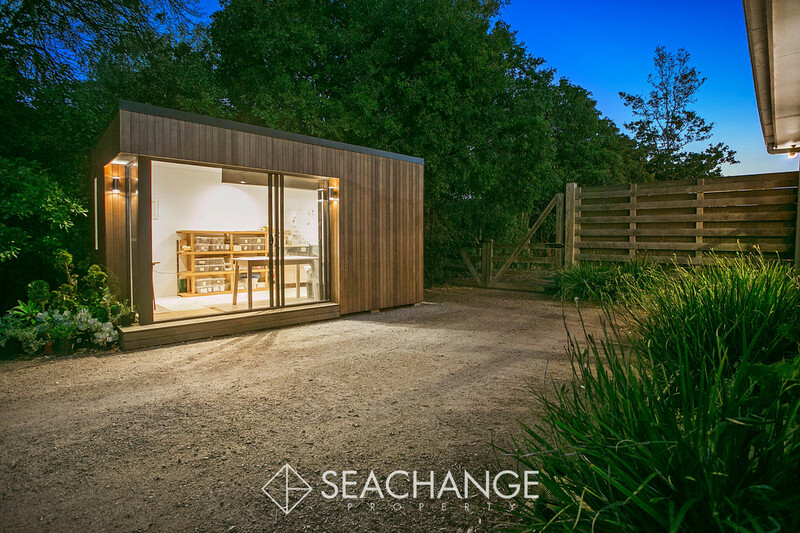 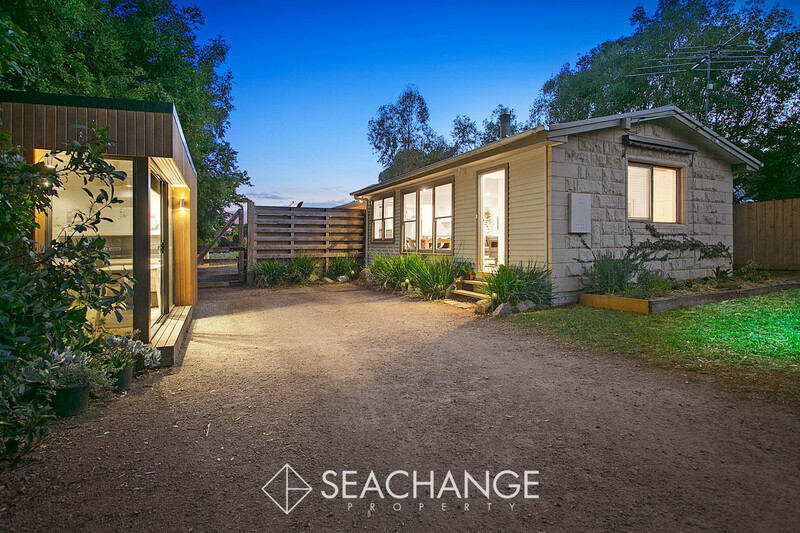 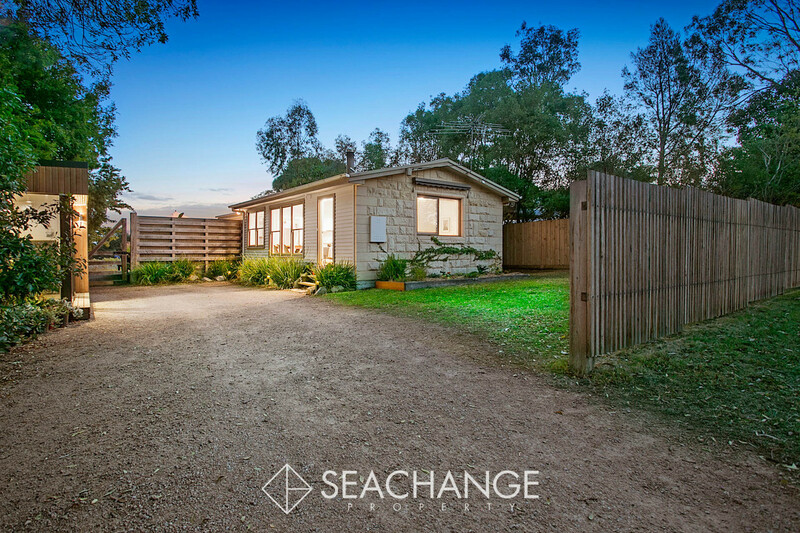 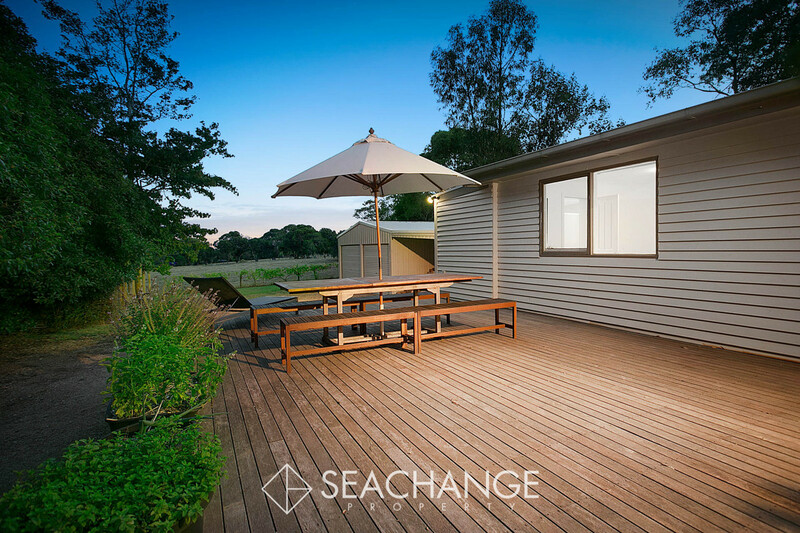 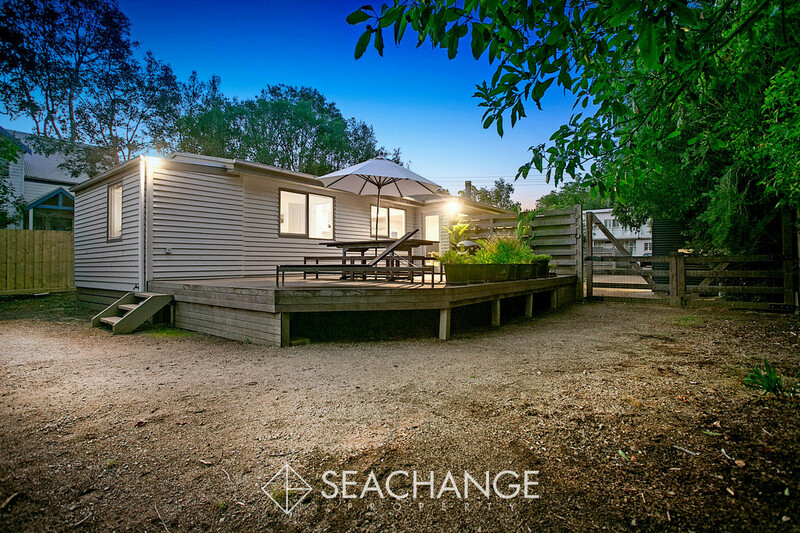 Ripe for investors, those looking for a seaside holiday getaway or downsizers wanting to retire in peaceful harmony within the beautiful surrounds of the southeastern part of the Mornington Peninsula. 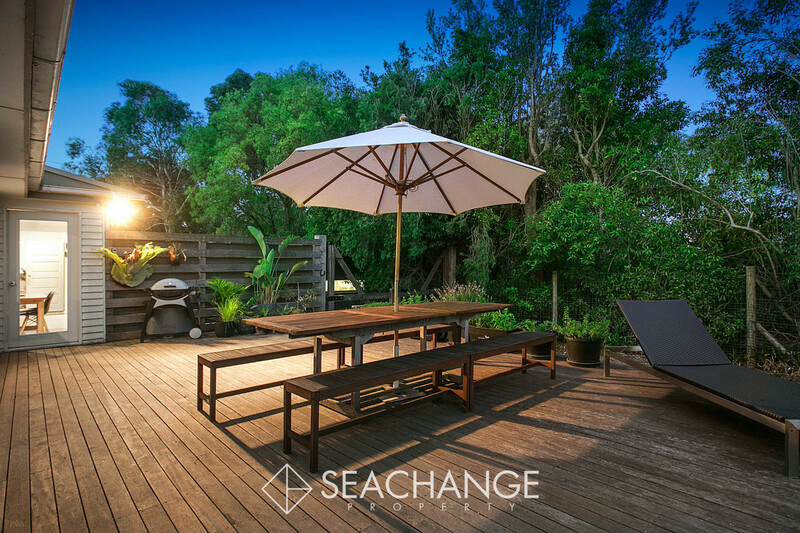 This is living!